Five-year-old Jacob Hill suffers from autism, which makes it difficult for him to socialize with other kids. To make matters worse, the condition leaves him more likely to wander away from his parents, which can put him in dangerous situations. To keep him safe, Jacob’s mother wanted to give him a therapy dog, but their family would need to raise $13,500 to train one. That’s when Jacob’s sister, Jordan, and his cousin, Makaylee, decided to help. The donation helped put Jacob’s fundraising campaign past its goal. A therapy dog will be trained for two and a half years through Autism Service Dogs of America before it goes to live with Jacob and his family. The dog will help keep Jacob from wandering off and, hopefully, provide him with the companionship, comfort, and confidence he needs to interact with other kids. Taylor Swift is known for her generous contributions and donations to many causes that she cares about, and it’s great to see her stepping up for her fans in need. Are you excited for Jacob to have a new service dog? 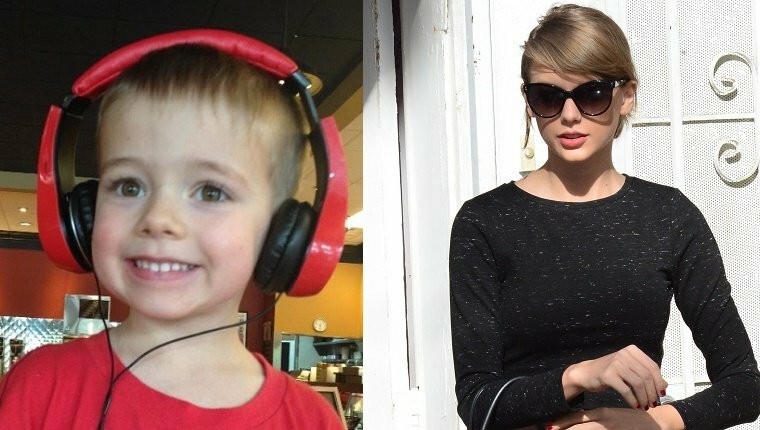 What do you think of Taylor Swift’s donation? Let us know in the comments below!